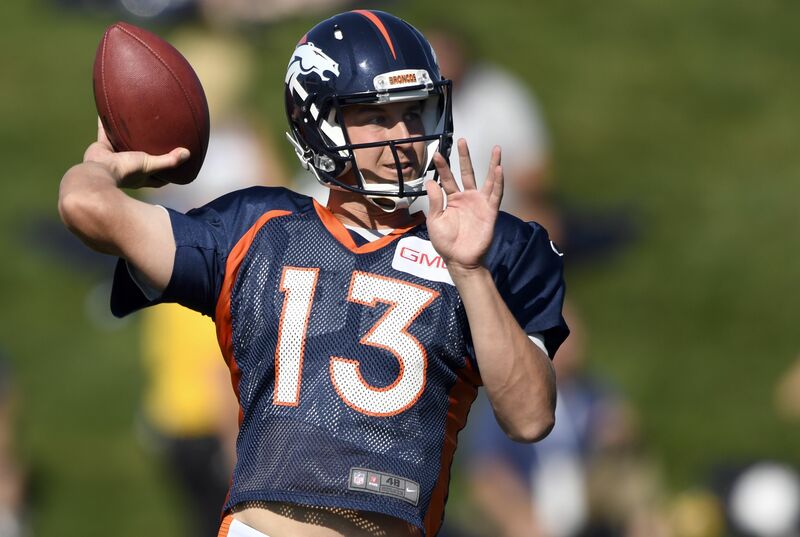 It has seemed inevitable for a few days at last, but Trevor Siemian is expected to be named starting quarterback for the Denver Broncos. After winning Super Bowl 50, the Denver Broncos were searching for a starting quarterback. They traded up to get Paxton Lynch in the 2016 NFL Draft, but 2016 seventh-round pick Trevor Siemian won the job. Another competition was going this preseason, and according to multiple reports Siemian will be named Broncos’ starting quarterback again. In 14 starts last season, Siemian was solid but unspectacular, completing 59.5 percent of his passes for 3,401 yards with 18 touchdowns and 10 interceptions. After a solid showing Saturday night against the San Francisco 49ers, Siemian conveyed a level of cautious confidence when asked if he felt like had done enough to win the starting job. Lynch made two starts as a rookie when Siemian was injured last season, but he wasn’t particularly good and failed to win the stating job this preseason. Head coach Vance Joseph in a general comment about players who are named starters last week, effectively put to rest the idea of any sort of short leash for Siemian. Siemian doesn’t have to great for the Broncos to win a lot of games, and he showed what he could do in a three-game stretch late last season when he topped 300 passing yards twice and topped 280 yards in the other. He has now won the starting job twice over a theoretically highly touted first-round pick in Lynch, under two different offensive coordinators and two head coaches. Seimian looks like the kind of placeholder quarterback teams are always trying to replace, just good enough to not be benched and not the kind to be an x-factor in a deep playoff run. The Broncos will probably take another shot at replacing him next year.